Kryptonian Warrior: Joel Silver Turning Cartoon Network's 'Ben 10' into Live-Action Movie! 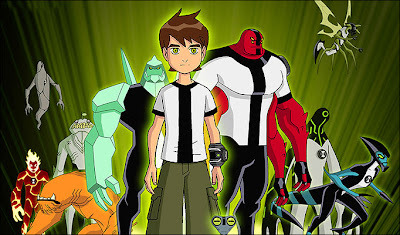 Joel Silver Turning Cartoon Network's 'Ben 10' into Live-Action Movie! Considering that the previous live-action TV films from the franchise, in my opinion, have been bloody terrible, the news that Silver Pictures (Joel's production company) has taken this project on is extremely exciting to any Ben 10 fan. Which I am, even at 33 years old! I think as long as we see a huge amount of CGI alien forms and some serious action, cutting out any cutesy/ corny crap, this could be a great movie. More news as it gets released!